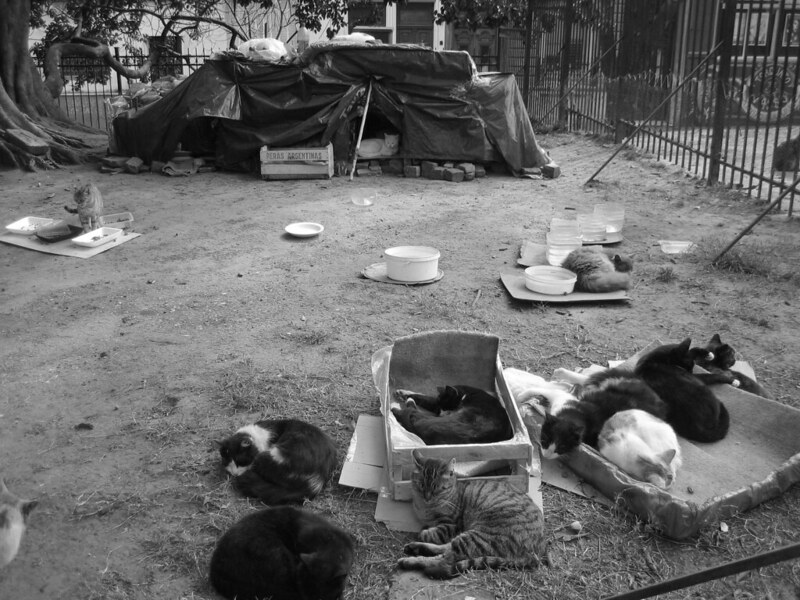 We came across what seemed to be a Cat refuge in a park in Buenos Aires, we couldn’t decide if it was sad because they must all of been homeless, and where living in a sort of slum, or happy as someone had build them a home and was looking out for them. I think the little home they have built there looks like a fantastic place for a street cat! How strange. When I saw this article, it reminded me of a news story I read earlier this year about a group of cats who kept a one-year-old boy alive. I think I read it on the Telegraph or the Guardian. It is very sweet. At least they have each other for company. I agree, it is hard to decide if it is sad or happy. I am leaning towards happy because cats love freedom. At least they can roam the streets and they don’t look too skinny either. I leave Buenos Aires tomorrow with my wife and we return in November. We have stayed with Buenos Aires Stay for many months and we highly recommend them as a quality Buenos Aires rental company. We have used a few agencies in Buenos Aires and BA Stay is by far, even streaks ahead, these guys are on the ball and ahead of the game. They use a concierge service called Buenos Aires Experience that I think is owned by the same company, special mention for Sebastian Airaldi, your support and help was beyond the call of service and your tours are wonderful – my friend!